When the airship she is on is attacked, Sheeta tries to escape from her would-be captors but falls to her death through the clouds. Fortunately the enchanted and mysterious crystal she is wearing round her neck saves her and floats her to the ground where she is found by young Pazu, who is rushing to get back to his boss in the mine with food. Pazu takes her in and they become friends but quickly learn that the pirates after Sheeta have not given up their chase. Not only do the pair have to deal with the pirates but also the government, led by sinister agent Muska, have their own dark reasons for getting hold of Sheeta. Escaping Pazu's town together is only the start of their adventure together. Hard to believe that this film is twenty years old and yet looks as fresh and is as engaging as anything else you will see today. The sheer visual style and imagination is quite breath-taking and I could not quite believe that this was made by Miyazaki only 7 years after the vastly inferior (but still OK) Rupan sansei: Kariosutoro no shiro (or The Castle of Cagliostro as it was in the UK). As writer he has also done well to craft a story that is engaging and enjoyable. It struggles at times with the weight of coincidence needed to make the film move forward but the manner of delivery covers up these little problems by producing regular action and fun characters. The pace of the film is perfectly pitched and things move forward really well and I can't imagine an audience of children or adults will be bothered by the running time. 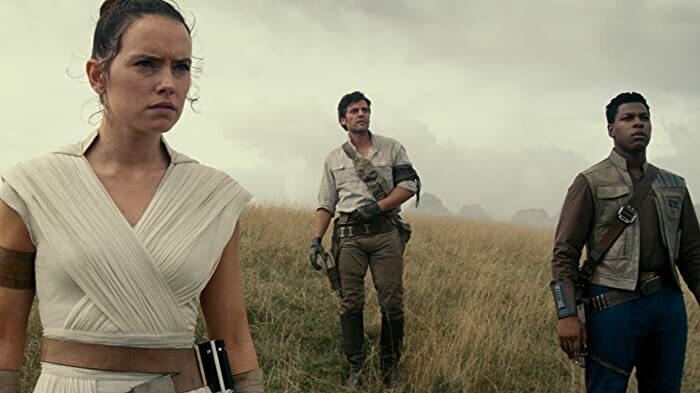 The characters bring out nice relationships as well which adds value to the story but unfortunately points made late in the film about the environment and such are heavily made and clunky. The voice cast in the English dub are mostly very good. Sadly the weakest link is Paquin, she sounds unnatural and a little wooden too often. She probably isn't that weak but she is shown up by an engagingly fresh and natural delivery from Van Der Beek  not something I expected to be saying when I learnt he was doing the voice of Pazu. Just as good is Leachman's Dola  blessed with a good character in the first place, her voice is spot on despite sounding a little like Mrs Skinner on the Simpsons. Hamill takes the bad guy role well and shows his experience at animation even if he is a little hammy at the odd point. Everyone works well together and they deliver their characters well to support the narrative and they match the impressive visuals well. Overall this may not have the emotional depth of Spirited Away but it has strong characters and good relationships. These are grown within a engaging story told with pace and a good rate of action. 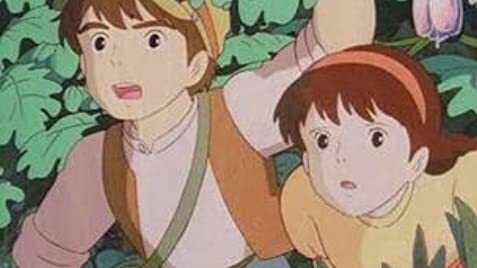 Of course if none of this interests you then it is still worth seeing for Miyazaki's imagination and style, which is impressive and hard to believe that it is 20 years old this year. Laputa is based off of a levitating island in Jonathan Swift's Gulliver's Travels. However the film had to have "Laputa" taken out of the titles in Spain and severl other Latin and South American countries because "la puta," in Spanish literally means "the whore." Miyazaki apologized for this, saying that Laputa was both meaningless in English and Japanese. Col. Muska: An artificial life-form. It's called a robot. Laputa was just a legend until this dropped from the sky. When Dola announces that Goliath is off of the port bow, she looks in horror towards the Tiger Moth's starboard stern, the opposite direction from that which she announces. The end credits show the remains of the castle Laputa floating on Earth's orbit. Four minutes are cut from the Hong Kong version making the film 120 minutes.